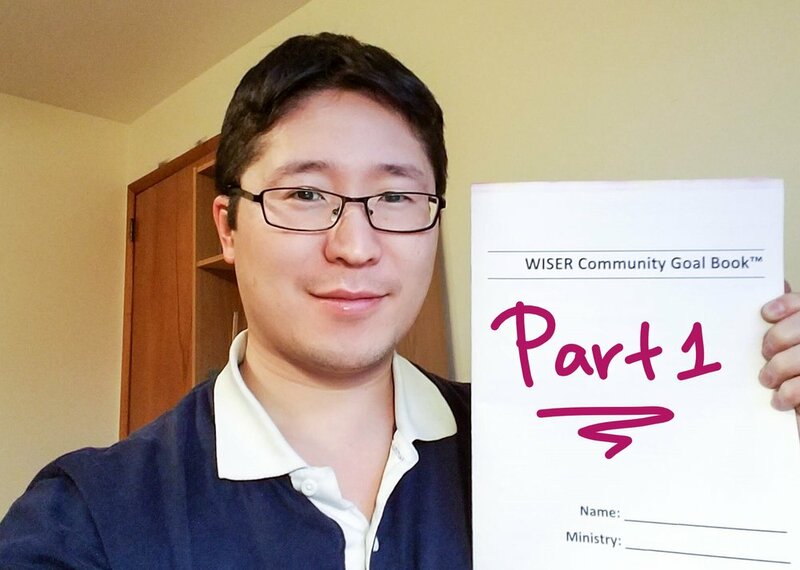 At the start of the new year, we shared an article about the WISER goal-setting process developed by CARP President Naokimi Ushiroda with over 10 years of goal-setting experience. Hopefully, some of you had a chance to try out this more comprehensive method of clarifying and setting awesome goals. Now that it’s been a few weeks, we want re-emphasize the value in having a system in placefor achieving goals. In an exclusive interview with Naokimi, we learned how he applies this goal-setting method in his daily life. So, let’s review each step of the WISER process and ask Naokimi a follow up question on how to actually apply the steps. We will focus on the first two steps in this article, which are the more conceptual stages of the process. Stay tuned for next week’s article applying the last three action-oriented steps of the process. This step is a brainstorming session to list out what you want which then informs what your goals should be. These goals should also be listed into different categories of your life such as health, career, relationships, etc. Follow-up question: How do you navigate and organize your list of goals? “It’s a good start to outline all the different things you may want in 2017 as mentioned in the article. However, because we have limited time and resources, it’s important to prioritize. So, pick one goal among each categorized list to focus on as your key breakthrough goal, or the one thing that if achieved this year, would make you feel satisfied. I work almost full time, have a coaching business on the side, do Tae Kwon Do, and I’m also a husband and a father of two so there are many things to balance in my life right now. In order to manage all this, I try to focus on one main thing to achieve in four key areas of my life. For example, in my public work, my main focus will be to secure a team, budget, and goals for the National Youth & Young Adult Ministry. For my business, I want to focus on securing 12 clients for the year. In terms of relationships, I will focus on consistent quality interaction with my wife to strengthen my marriage. And in the area of health, my main breakthrough goal is to get a black belt in Tae Kwon Do. A sneak peek into the workbook for brainstorming the W step. We discussed inspiration in the context of a physical vision board in the last article. A daily visual reminder would help keep people inspired to continue pursuing their goals. Follow-up Question: How do you flesh out this step and are we really just talking about a physical vision board? “I think vision boards are great for those who are stimulated visually. For me, I find that writing things down works best. I really like brainstorming on a blank word document. I ask myself some powerful questions like “what do you really want?” and formulate different visions in my mind and start writing it down. For example, before it was officially confirmed that I would be working in a new role as the Director of the Youth and Young Adult Ministry, I imagined what it would be like, and started writing out a purpose statement, my dream team, the organizational structure and a budget. I used this to actually negotiate with the Executives at HSA, which eventually led to me to getting hired in my new role. In one sense, I was already living my new role and was feeling excited and inspired to fulfill what I envisioned in my mind through writing it down and talking with others about it. So, the vision board is one type of reminder, but continually clarifying, and writing it out in words further substantiates what you want. Using all your senses, TRY writing out the experience of achieving your goal. The more you flesh out the experience, the more you will be able to already feel some of the benefits of achieving your goal in this visualization exercise. 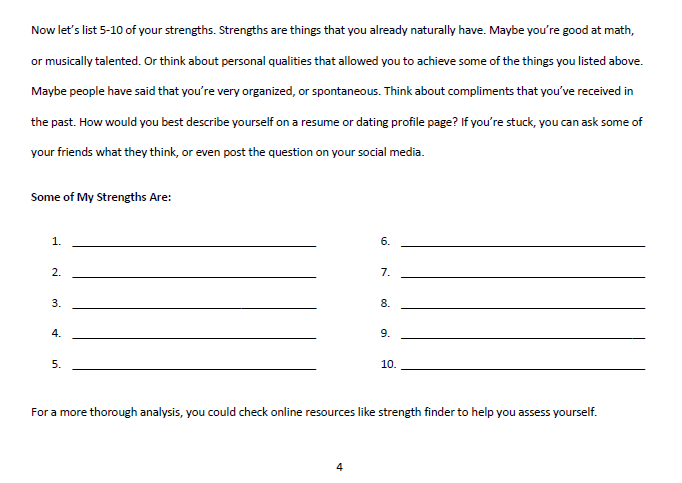 A sneak peek into the workbook for brainstorming the I step. Take this week to apply the first two steps of the WISER process. Identify your breakthrough goals, or what you want, and then visualize for yourself what it would be like to achieve those goals for inspiration. These two steps are an important conceptual stage that sets you up to then take action which you can read all about next week.